Click the video to get a first hand look at some of what we have to offer! Our newly improved laser tag and game room are now open! Come check out all the new, exciting games we have! Book a Laser Tag Birthday Party with us today! 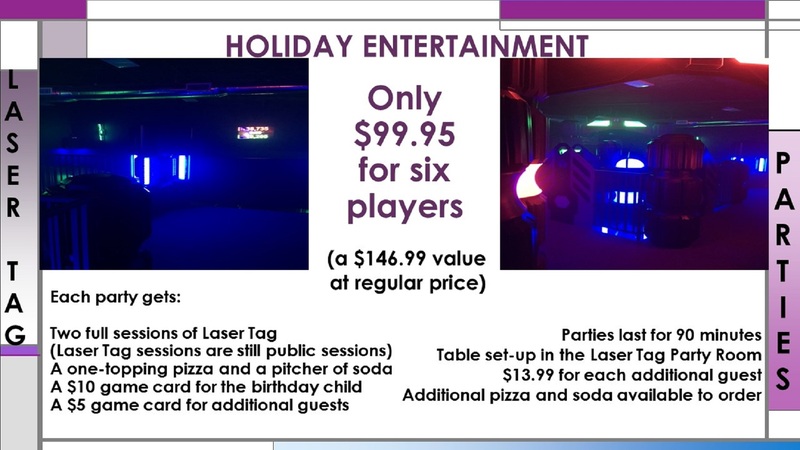 We have several specials to fit your budget at Holiday Entertainment and College Bowl. See our latest specials!